Greetings in Christ! My name is Rogers Kelley and my home is in Goliad County which is located in South Texas. Our home church conducted a revival in 2000 with a husband and wife singing duo. The Lord touched my heart in a mighty way during that time. I sang my first song at a homefolks concert in 2001 at Rocky Creek Baptist Church. The Lord has kept me inspired to sing. My wife, Peggy, and I travel to assisted living and nursing homes each week where I sing hymns and Peggy reads passages to the residents. I continue to sing at our home church. I have two CD's out that the Lord has blessed me to create. 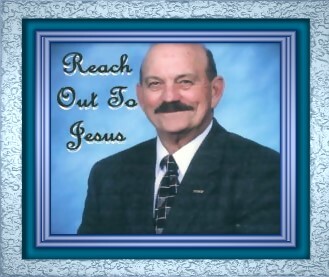 The first one is called "Reach Out to Jesus" and contains eleven songs. The second one is called "Jesus, Thanks A Lot" and contains 6 songs three of which I wrote. For booking information or to order one of my CD's, please contact me at 361-645-3058 or at pkel@sbcglobal.net. Thank you for your support and may God bless you!